Tradition and experimentation are two familiar territories that C'mon Tigre, a duo who find their identity by working with musicians from all over the world, can balance between very well. As they did for their debut album (2014), they have put together a multicolored collective for their second record Racines. The title is a French word that means "roots", referring to the musical roots in which C'mon Tigre's feet, head and heart are immersed, and from which their contaminated tracks sprout to create unusual and original sound environments. On Racines the sounds of the Mediterranean -- the sea of their land -- intersect, intertwine, and overlap with a kaleidoscope of other sounds and a new approach based. They explain: "on the type of work we had done when we rearranged the first album for live shows, by emphasizing the synthetic part of our tracks". This time around they did it from the very beginning: "The composition of the pieces immediately included the use of machines and synthesizers as a basis for acoustic instruments. The goal was to reprocess the terrain of Mediterranean influences that was undoubtedly our starting point". Imagine a work in progress where bass and guitars interact with woodwind, synths, percussions, vibraphones, dipping the listener into a sensual and hypnotic musical journey. 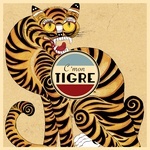 Sailing from the Mediterranean basin and being guided by the fascination for Africa and the Middle East, C'mon Tigre give rise to a personal language, made up of mixtures with jazz, Afrojazz, the rhythms of hip hop, funk, and '70s disco. All without ever confining their songs to one style, but pushing the exploration as much as possible, into a dimension that every journey worthy of this name should encompass. "With the musicians we work with the exchange and experimentation continue till the end, the songs can take different directions at any time". The result is a mixed, cosmopolitan record, which escapes from any label for the affirmation of a free attitude. The attitude that led C'mon Tigre to seek a connection with dancefloor culture, even if considered only as an evocation to revisit in an absolutely personal way. "Underground Lovers" features vocals by Mick Jenkins. Other collaborations include musicians like DRB of Drumetrics and The Tiptons Sax Quartet.